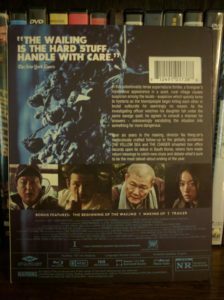 The Wailing - Blu-ray Review - ReDVDit! 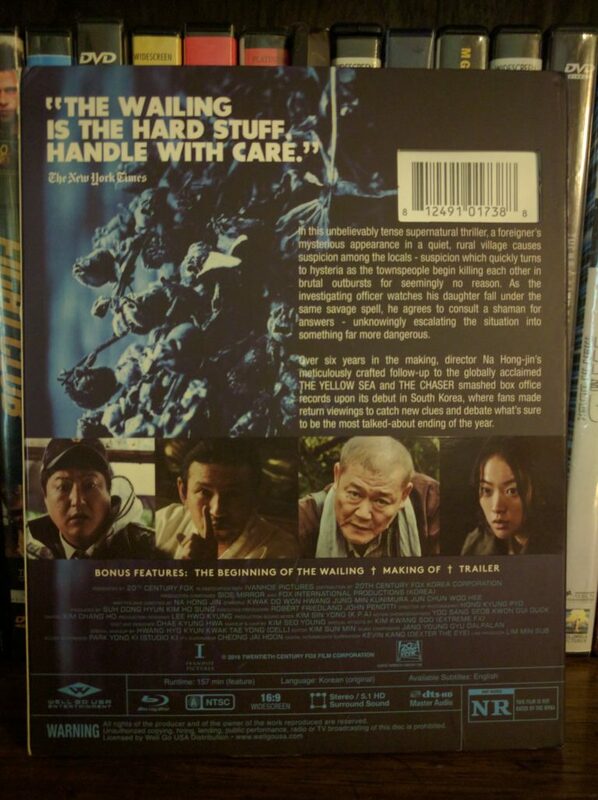 If you’re willing to read a few subtitles there’s a lot to like about South Korean genre film. Korean filmmakers aren’t beholden to the same tropes or stigmas which have been ingrained into American genre filmmaking, and the growth of Korea’s box office has provided ample budgets for talented Korean directors to create gorgeous films. If you hate the stale poorly written “reboots” that have dominated big studio genre releases in recent memory, then Korean genre film offers a welcome respite that will help you to once again love the thrill of the chase. Films like Oldboy, The Host, Mother, and Snowpiercer have secured Korea’s place as a refuge for the development of genre filmmaking. 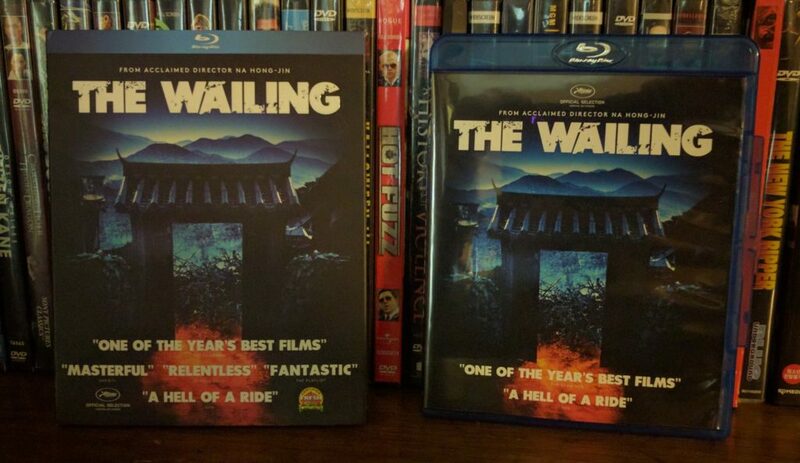 Released in the USA at the beginning of October 2016, Na Hong-jin’s The Wailing is a worthy addition to that list. The Wailing is a complex and ethereal narrative told at a frenetic and fun pace. Na seems to channel Hitchcock’s trickiness and love for instilling a sense of dread into his viewers. Its a weird feeling watching a show and being almost as lost as the characters on screen because so few new films try to trick the viewer. At the same time, The Wailing is very philosophical, making references to and asking a lot of questions about religion and belief. There are a lot of easter eggs to be found in The Wailing if you’ve got a knack for Biblical references. Na combines these philosophical elements and numerous genre staples with his own unique brand of mania, building the plot up to a fascinating crescendo. Partially because of the manic tone Na imbues into the film, there are too many dead ends that are left unexplained. When asked questions about less well-defined portions of the plot, Na claims to have left The Wailing up to the interpretation of the viewer. While I enjoyed piecing together the complex puzzle that makes up Na’s film after I finished viewing it, I can see how a lot of viewers were frustrated by the open-ended conclusion and numerous red herrings present in the film. Na shows his chops at building atmosphere in The Wailing. He uses the natural backdrop of rural Korea to great effect, creating a foreboding wilderness which edges and surrounds the protagonists. 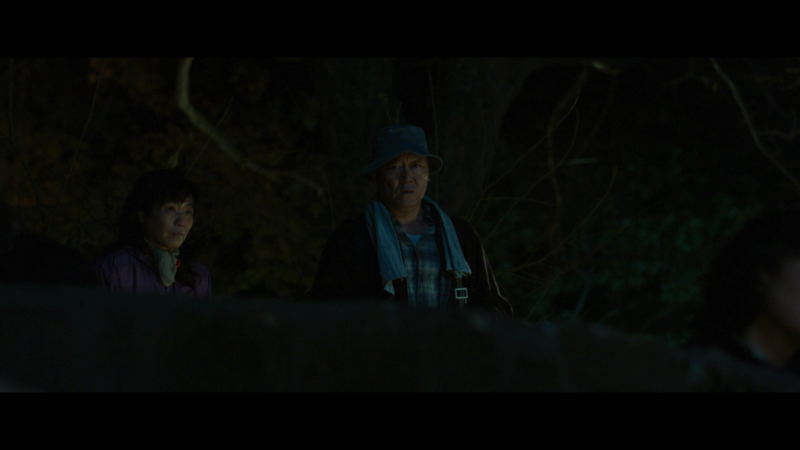 His imagery is very powerful, and gives the viewer a strong feeling for the danger, loneliness, and claustrophobia experienced by the characters in The Wailing. The weather is presented as a foe (or at least as a tool of the antagonist) in the film, and foreshadows or is directly involved in creating the predicaments faced by the characters. If the weather in a scene is calm, then the characters are provided a moment to collect themselves, and when it’s raining, it’s pouring. 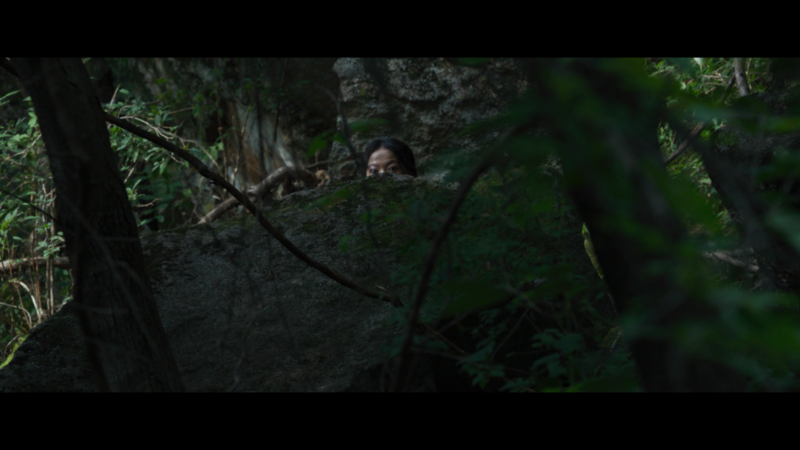 The characters of The Wailing may all be out in the open, but to the viewer they appear trapped. He combines his great visuals with amazing audio. Scenes that involve rain completely surround you in the audio tracks, and take full advantage of your home theater. 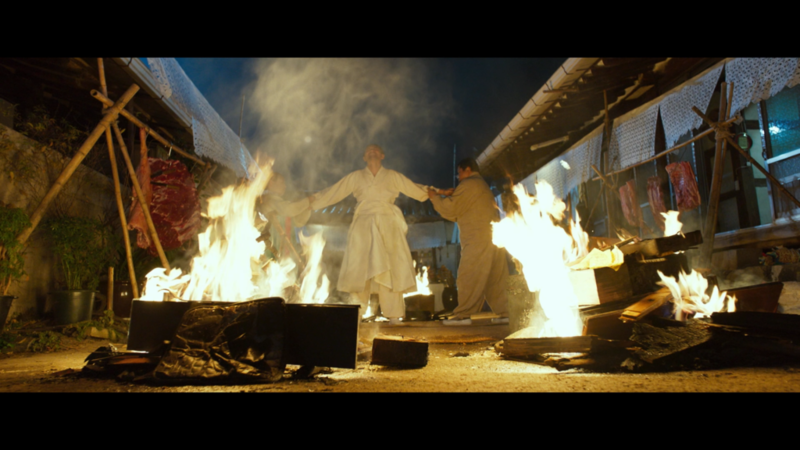 There’s also an intense scene involving a shamanistic Korean ritual that is astounding both to your eyes and ears. Some viewers have ragged on the film for having incompetent and vague characters. Na purposefully presented the main character, Jong-goo (Kwak Do-wan), as a very simple man and I think this is one of the more interesting choices Na made in creating this film. Jong-goo is a Korean Average Joe. He’s a rural cop who gets repeatedly berated by his boss, and has a criminally limited knowledge of basic police procedures. At times, it’s cringe worthy to watch him bungle everything up, but it’s also a clever tool for building both comedy and tension (think Nick Frost’s character in Hot Fuzz). As the plot progresses he becomes increasingly panicked and paranoid, and he trusts no one (especially those who seem to be trying to help him). Kwak does a fantastic job with the character, and Na’s script shines in painting a portrayal of characters confronting horrifying and impossible situations. Japanese actor Jun Kunimura’s performance as the mysterious fisherman introduced the film’s opening scene is also masterful. Every time Kunimura appears on screen, he sends chills down my spine. Na has loaded The Wailing with gorgeous panoramic shots of Korea’s natural beauty, and there are countless scenes in the film that make great use of color and shadows. The makeup, costume, and creature effects are top notch and are a feast for your eyes on this release. I had some issues with motion blur when I would pause more active scenes to try and pick up extra hints and details. 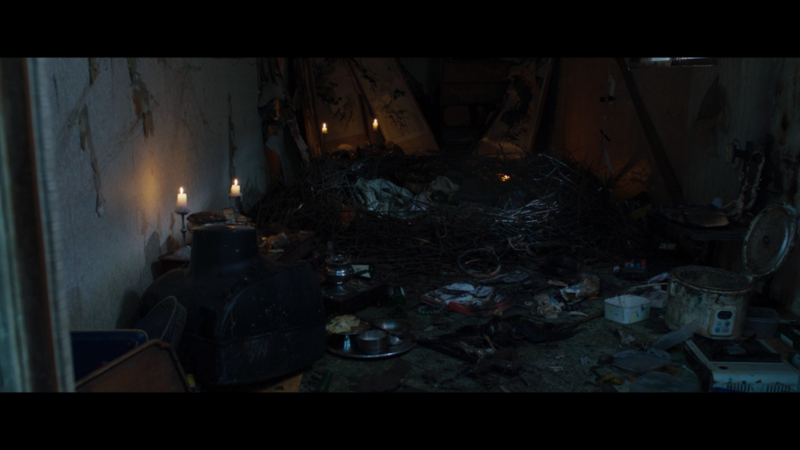 There also seems to be issue with some detail being lost on darker night-time scenes. Nitpicking aside, this is still one of the prettier releases I’ve enjoyed this year, and it is a gorgeous release of the film. The DTS-HD tracks on The Wailing were very well engineered. Surround audio is used to great effect in this film. The audio starts strong in an opening scene set during a rainstorm, and continues to contribute greatly to the atmosphere of the movie all the way to the end. Not necessarily a criticism, but there isn’t much of a film score here, and where there is one it’s not a strong aspect of the movie. 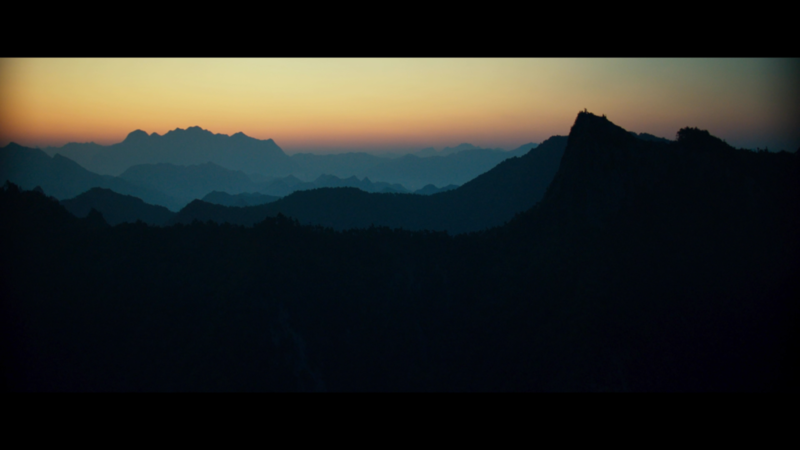 While natural sound plays a massive role in the film, music does not. The packaging is overwhelmingly average. A little more creativity in the packaging would have gone a long way for such a neat genre film. 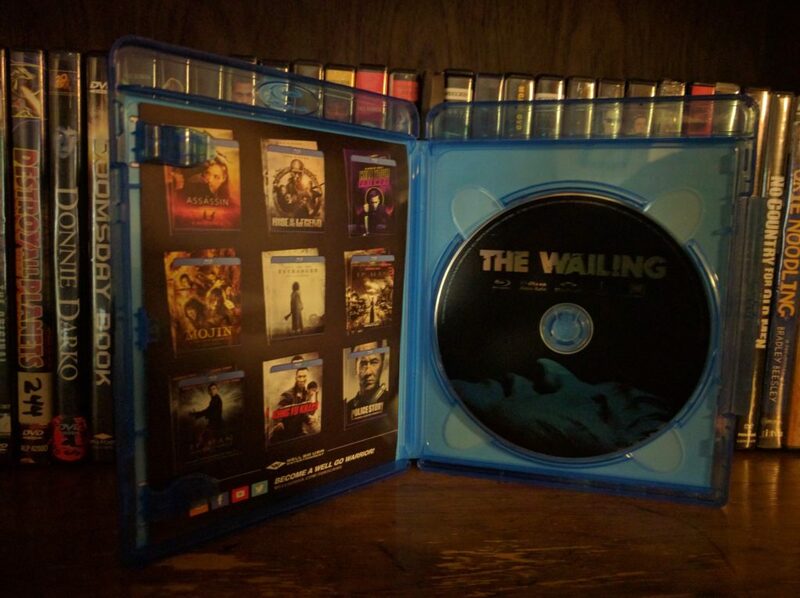 Both the slipcover and the case use identical artwork. The inside of the insert is left white. The artwork on the front looks good, and the case and slipcover are both of decent quality. This Blu-ray will look good in your collection, but don’t expect to find anything in this release that impresses your inner collector. The special features on this Blu-ray are very limited. There’s a trailer and 2 featurettes that take a combined 20 minutes to watch. I was very disappointed by the lack of special features, since it truly is a film that deserves some extended explanation and feedback from its creators. I imagine the need to do subtitle translations for this movie took away a lot of the budget that could have gone into fluff, but it doesn’t justify the almost complete lack of special features on a full priced new release that will run you $15-$30. 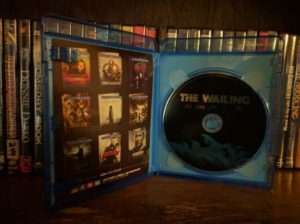 Outside of owning the physical copy, there is little to no incentive to prevent consumers from buying this film on a digital platform without the added features. I simply loved watching The Wailing. Everything about Na’s film was superbly done. The acting, choreography, cinematography, audio engineering, writing, and directing meshed together to create one of the most unique and fascinating horror films I have seen in recent memory. The only criticism I might have for what I watched was that Na may have bit off more than he could chew when he made this film. The plot progression is very erratic, reflecting Na’s off-the-cuff style of filmmaking, as well as the mania of the characters in the film as they respond to their lives being turned upside down. A lot viewers expressed frustration for what they viewed as a thrill ride that lasted too long and had too few answers at the end. I loved the thriller elements of the film as well as the non-standard plot structure Na employed while creating this film. I think Na left a lot of fascinating clues in the subtext of the film to create very interesting debates amongst fans and viewers of the film. If you like watching your horror baked from scratch, then go find yourself a copy of The Wailing. If you don’t like your horror films to be overly complex, then stay away.